Selecting which are my favorite songs recorded by Ngoc Lan is definitely a difficult task. There are just so many. It has been documented that Ngoc Lan had recorded a total of 800 songs throughout her career. I don't exactly know just how many of those songs I've heard. But since I do own quite a few compact discs and old audio cassettes of Ngoc Lan that I probably have heard most of them. Right off the top of my head, I can already think of over 30 songs recorded by Ngoc Lan that I really love and consider to be my favorites. But I do realize that this is not a book I'm writing here, but just only a post for this blog that shouldn't be too long and boring. So I've narrowed it down to a list of my favorite 10 songs recorded by Ngoc Lan. Each of these songs on this list holds some sort of special memory for me. Tell me what you think about the songs on this list. I'd love to know what your favorite songs recorded by Ngoc Lan are. Let's see if our tastes are similar. 1. Tinh - Written by the legendary great Vietnamese songwriter/ composer Van Phung, this has been one of my favorite songs with its jazzy melody and brilliant lyrics. I first heard this song from Ngoc Lan's 2nd solo album, Nguoi Yeu Dau, when it was first released only on audio cassette in 1987 by Giang Ngoc. Her performance on this song really impressed me, especially with her ability to effortlessly keep up with the arrangement's bouncy tempo. To this day, I've yet to hear any other singers match Ngoc Lan's flawless rendition of this Van Phung classic. 2. Noi Buon - Another great song written and composed by Van Phung that was also featured on the same album, Nguoi Yeu Dau. Ngoc Lan's sweet gentle voice was just perfect for it. What do you know? This is another great song written and composed by Van Phung and sung perfectly by Ngoc Lan. There may be a connection here. Actually, I've heard Ngoc Lan's recordings of other Van Phung songs, and I've loved them all. These two just happen to be my favorites. 3. Hoi Nguoi Tinh - Translated Vietnamese lyrics for this song had been written by none other than our beloved, Ngoc Lan, herself. Ngoc Lan shocked a lot of her fans with her other talent as a lyricist with this song. How could anyone not be mesmerized when hearing her sing, "Hoi nguoi tinh, van biet anh khong he yeu, sao em van doi cho trong hat hiu" (Oh my love, though I know you don't love me, why do I keep waiting for you in sorrow).... This song was also featured on the album, Nguoi Yeu Dau. Therefor, it is fairly obvious that Nguoi Yeu Dau is one of my favorite albums of Ngoc Lan ever, given how 3 songs from this album are on this list. 4. Neu Vang Anh - Lyrics by Nguyen Sa and Music by Anh Bang. I had heard this song recorded by several other singers before and frankly, I really didn't care much for the song until I heard Ngoc Lan's version. She sings this song as if she is telling a story. I find her delivery especially charming and really pleasant to listen to. This recording was featured on a compilation cassette with various other artists produced by Phuong Hoang in 1988. The album title was, Mua Thu Paris, and featured the gorgeous model, Thanh Hang, on the cover. 5. Ngay Ngat Ben Anh (Je M'envole) - Ngoc Lan covered this French tune originally sung by Nicole Riu in both French and Vietnamese translated lyrics that were written by Pham Duy. As often been the case with many of Ngoc Lan's recorded covers of French love songs, I liked Ngoc Lan's version much more than the original. This recording was also featured on a compilation album with various other artists, Nhac Phap Tru Tinh (Les Chansons d'Amour), produced by singer Trung Hanh and released by Nguoi Dep Binh Duong in 1988. Other artists included on this compilation album were Kieu Nga, Julie (Julie Quang), Elvis Phuong, Minh Xuan and Trung Hanh. 6. Hanh Phuc Noi Nao - This was the title track to her 10th solo album. The lovely Vietnamese lyrics sung by Ngoc Lan on this French love ballad was written by the late Trinh Lam Ngan. All I can say about this beautiful song is how can anyone not love it? 7. Mua Tren Bien Vang - Ngoc Lan had said it herself that this was the song she felt closest to the audience whenever she had performed it at her live shows. Unfortunately, I did not ever see her perform this song live. But just from listening to her recorded studio version, I can just imagine how she would enchant the audience as they watched her serenade this song to them. 8. Khi Nang Yeu (Une Femme Amoureuse) - Originally titled as Woman in Love, this song was written by Barry Gibb for Barbra Streisand. Nobody can compare to Miss Streisand's original recording. However, judging from Barbra's past attempts to sing in French from Je M'appelle Barbra, let's just say I'm glad she didn't decide to record this song in French, as well. I believe Mireille Mathieu was the singer who had recorded the French version to this song. I've never cared much for Mireille Mathieu's tormented vibrato, so reminiscent of Edith Piaf. I preferred Ngoc Lan's interpretation in French and Vietnamese. By the way, this song was on Ngoc Lan's 3rd solo album, L'amour Tinh Ta, and the Vietnamese lyrics were written by Pham Duy. 9. Em Van Nho Toi Anh (Je Pense Encore à Lui) - I loved Mimi Hetu's original version. But Ngoc Lan's cover of this song was just as beautiful. Featured on her first solo album, Tieng Hat Ngoc Lan, since then no other Vietnamese singer has ever recorded this song. I wonder why. It's so beautiful. 10. Phu Du - Written by Phan Kien, I've only heard one other artist record this song. And that was Khanh Ha. Although Khanh Ha had done a fine job with her recorded version, I prefer Ngoc Lan's version which had been featured on Ngoc Lan and Duy Quang's 1st duet album together, Bien Mong (1987). Oh and I love Tinh Ta album as well! The two songs that I listen the most are Viens M'embrasser (Lai Gan Hon Em) and Une Femme Amoureuse (Khi Nang Yeu). 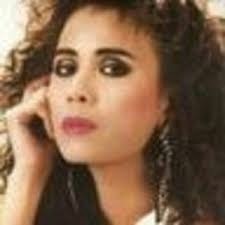 Those are my favorite French songs performed by Ngoc Lan. And that's really something since I'm usually not into Vietnamese singers singing a foreign language. Hihihi, I'm so sorry buddy!. It's just because I had some bad experiences with Vietnamese singers singing in a foreign language (doens't matter if it is inEnglish or French or Chinese etc.) It was definitely not my intention to offend you Thien Phu! Ha Ha Ha.... No worries, no offense taken there, my friend.